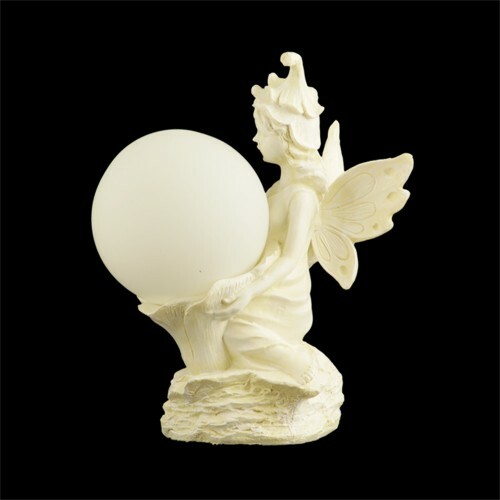 Add magic to your flowerbed, garden or landscape with this solar fairy with color changing solar light globe. 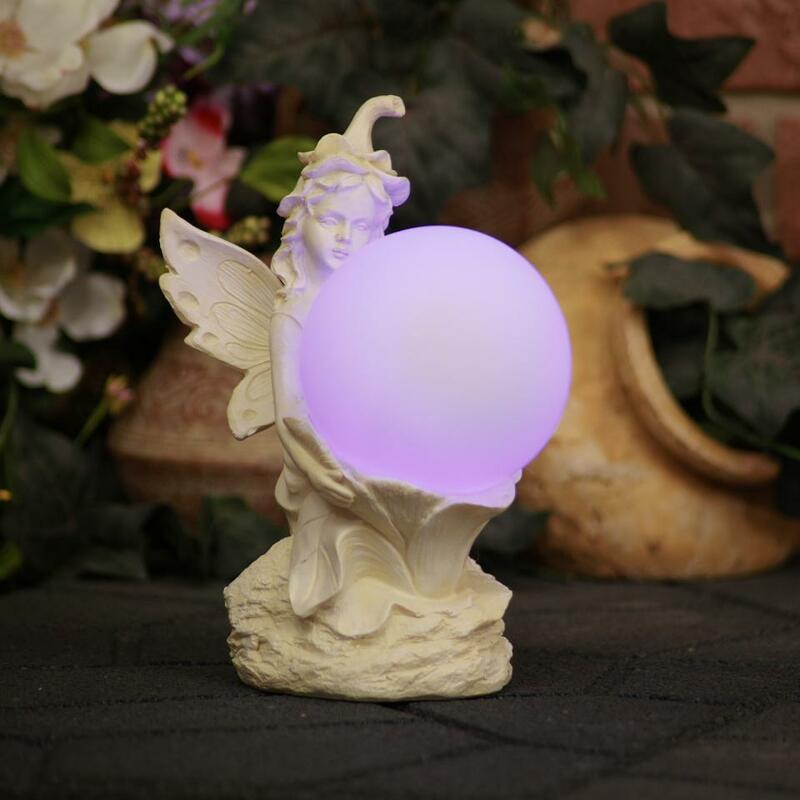 This solar fairy charges during the day, then at night the solar globe light illuminates and cycles through a shimmering spectrum of colors at night. 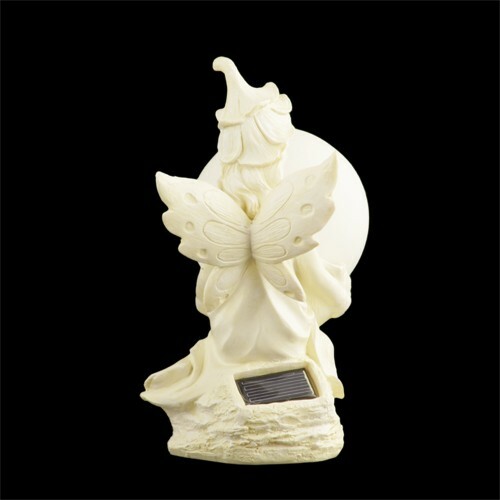 Made of poly-resin with an antique vintage finish and is weather and water resistant giving you years of enjoyment.